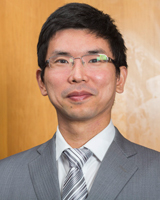 Quan Gan holds a bachelor’s degree in computer science and technology from Tsinghua University, China; a master’s degree in quantitative finance from the Swiss Federal Institute of Technology in Zurich (ETHZ) and University of Zurich, Switzerland; and a PhD in economics (econometrics) from the University of New South Wales (UNSW), Australia. Upon his graduation from Tsinghua University, Quan worked as a software engineer in San Jose (Silicon Valley), USA. After obtaining the master’s degree, he worked in financial industry in Zurich and Sydney. Prior to joining the University of Sydney in 2009, he lectured business courses at Australian school of business and school of engineering at UNSW. Quan holds the Chartered Financial Analyst® designation. He has published popular stock analysis articles and comments on Bloomberg, Australian Financial Review and Eureka Report. He also commented on financial markets on SBS radio program. Quan's research has been reported by The Australian and Australian Financial Review. Leung H, Chen M, and Gan Q (2018) Impact of Online Stock Message Forum Information Intensity on Returns and Volatilities World Finance & Banking Symposium, Taichung Taiwan 13-14 December. Zhou Z, Leung H, and Gan Q (2018) Do Intraday Auctions Improve Market Quality? World Finance & Banking Symposium, Taichung Taiwan 13-14 December. Gan Q, Wei W, and Johnstone D (2016) Does the Probability of Informed Trading Model Fit Empirical Data? Quantitative Methods in Finance 2016 Conference; UTS, Sydney, Australia. Wei W, and Gan Q (2012) Comparing the Information Content of Stock Trades: An Adaptive Lasso Approach Accounting and Finance Association of Australia and New Zealand AFAANZ Conference 2012; The Accounting and Finance Association of Australia and New Zealand, Melbourne, VIC, Australia. Wei W, and Gan Q (2012) Diminishing Price Impact in Asian Limit Order Book Markets 25th Australasian Finance and Banking Conference 2012; Social Science Research Network, Rochester. Gan Q (2010) Optimal Selling Mechanism, Auction Discounts, and Time on Market 17th European Real Estate Society ERES Annual Conference 2010; SDA Bocconi Milan, Italy. Disclosure size of 10-K: determinants and implications; Business School Pilot Research Scheme. SBS Radio Mandarin spoke to Dr Quan Gan from the Business School about Chinese money in the US. SBS Radio Mandarin interviewed Dr Quan Gan from the Business School about Jack Ma's plans to step down as executive chairman of Chinese e-commerce giant Alibaba. SBS Radio Mandarin interviewed Quan Gan from the Business School about the loan from the Chinese bank to Turkey. ABC interviewed Dr Quan Gan from the Business School about the performance of the global financial markets. SBS Radio (Mandarin) interviewed Dr Quan Gan about government tax policy.